Denver Broncos owner Pat Bowlen was finally selected as a Contributor Finalist for the Pro Football Hall of Fame on Thursday. The full board of selectors will meet on Feb. 2, 2019 and vote on the Class of ’19. Bowlen still needs the approval of the full voting committee and will need 80 percent of the committee’s votes to be enshrined, but five of the six candidates from the contributor committee’s nomination has been enshrined in Canton, Ohio. 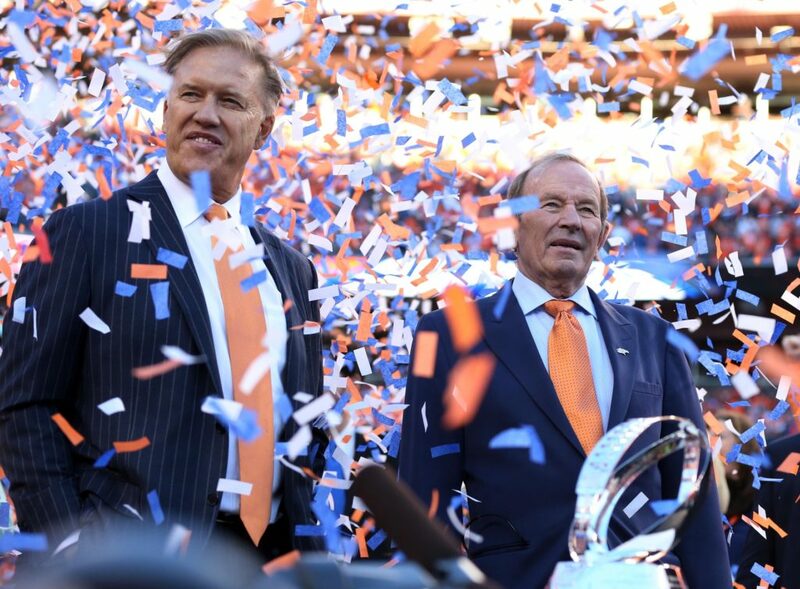 Ever since Bowlen took over as owner for the Broncos in 1984, Denver has won three Super Bowls (in seven appearances), appeared in nine AFC Championship games, won 13 division titles, and have appeared in the postseason 19 times. The Broncos were Denver’s first major league franchise in 1960, and won their first AFC championship in the 1977 season, but under Bowlen’s stewardship, the orange and blue reached dizzying heights. Denver has more Super Bowl appearances (7) than losing seasons (6) since Bowlen took over and the Broncos own the second-highest regular-season winning percentage in the NFL during his time with the team (.603, 327-215-1). 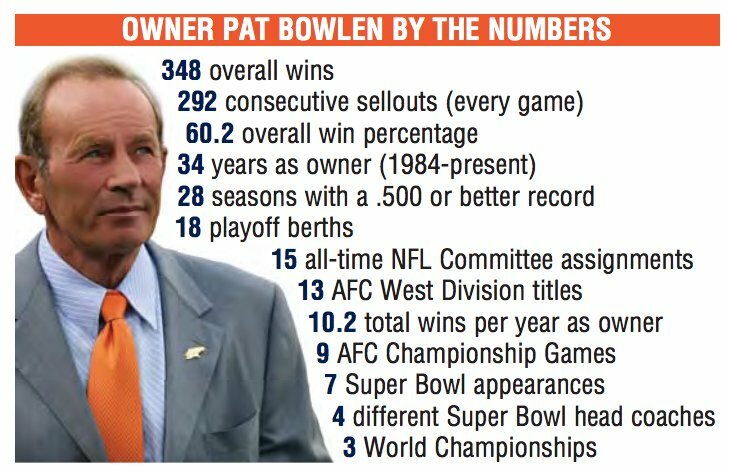 Bowlen is also the only owner in NFL history to win 300 games by his 30th season as an owner. “Mile High Magic” became a reality under Bowlen, and during Bowlen’s tenure with the Broncos, Denver has had the best home record in the NFL (211-81). The Broncos have led the NFL in attendance under Bowlen, accounting for more than 20 million fans attending their home games since 1984. Bowlen’s success with the NFL doesn’t stop with just the Broncos; he played a major role in the growth of the league itself – serving on 15 league committees and helping construct record-breaking television contracts that continue to this day. Bowlen, known in league circles as the “father” of Sunday Night Football, played a crucial role in league’s addition of Fox as its third television network partner. Bowlen was responsible for the negotiations on the NFL’s $18 billion TV contract (the most profitable single-sport contract in history). Only a few professional teams in North America (Spurs and Patriots) have seen the same amount of success as the Broncos’ franchise since 1984. Denver has the third-highest win percentage in all of American professional sports, since Bowlen took over and the Broncos are the only team in the NFL to win at least 90 games in each of the last three decades. Bowlen’s imprint on the NFL and the Broncos will last forever and an enshrinement into the Pro Football Hall of Fame would be a happy ending to an outstanding career as an NFL Owner. After the Broncos won Super Bowl 50, John Elway screamed, “This one’s for Pat!” – it seems that and the the Hall of Fame is finally ready to do the same.